We have all seen these gorgeous floral crowns from crown and glory or rock n rose so when I spotted the lovely Danielle's tutorial I straight away bought the headbands and roses to make my own and I thought i'd do a post to show my followers how they could save some money by doing some DIY! The crown and glory and rock n rose crowns retail between £18 - £28 so think about the money you could save by making your own !! Then really tightly attach the rose to the head band so its secure. Its best to do this off centre if your using an even number of roses like me or in the centre for an odd number of roses. Just attach it like so.. wrapping the wire around the headband! If you already have some wire flowers you can use them. experiment with different types of flowers! 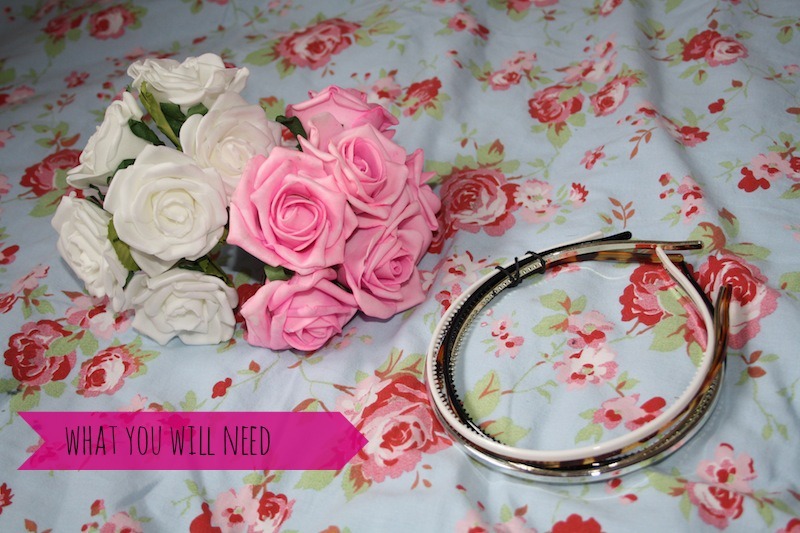 And if you have an old headband use it! don't bother buying some you can use a metal, fabric or plastic headband they will all work. 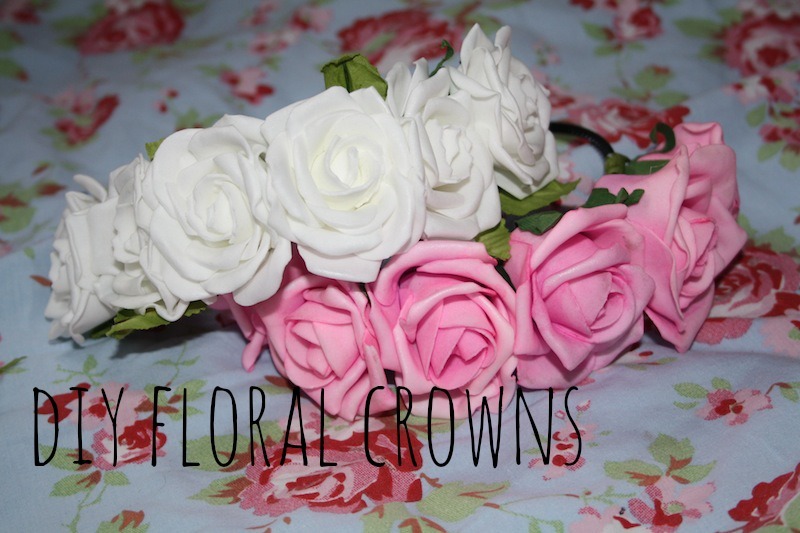 I think these make lovely little accessories and would look great at a wedding or party! I'm going to be wearing mine on holiday and also in my outfit posts !! This is such a good idea! I am defiantly going to try this haha i will probably end up with tones with all different flowers :) Lovely post. They look so beautiful. I really need to make more of an effort and start doing some DIY things, I'm just useless at making things!